Your business is unique, so let’s find solutions that fit you. At Synthesis we take time to listen and understand, then with you, apply creativity and experience in creating solutions. It’s in collaboration where True Solutions emerge. We’re here for as much or as little as you need. 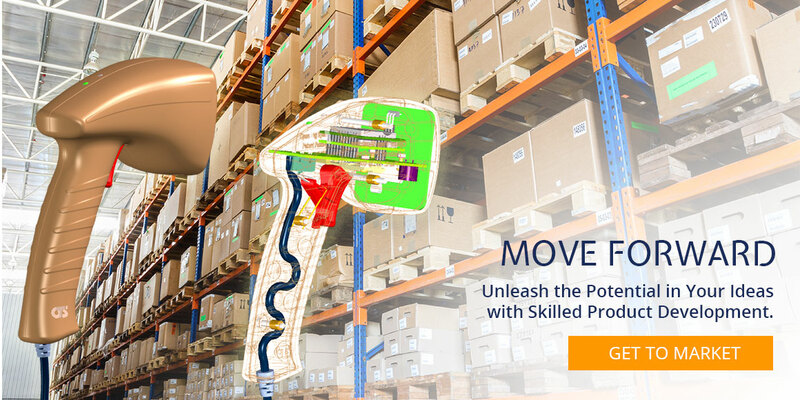 Break free of industry constraints with solutions that empower profitability. Innovation is powerful, so use our insight and engineering experience to add value by design. Faster, Cheaper, Stronger, Lighter, Higher – You define the goals, and we’ll work with you to achieve them! 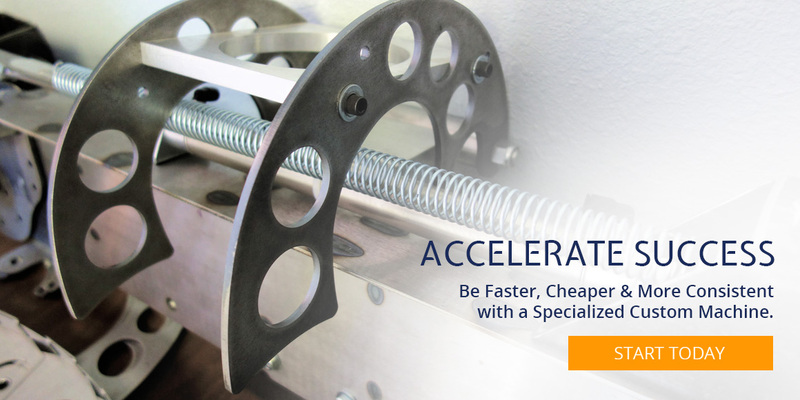 Break free of industry constraints with solutions that empower profitability. Innovation is powerful, so use our creative insight and engineering experience to add value by design. Some Customers Benefiting From Our Work . 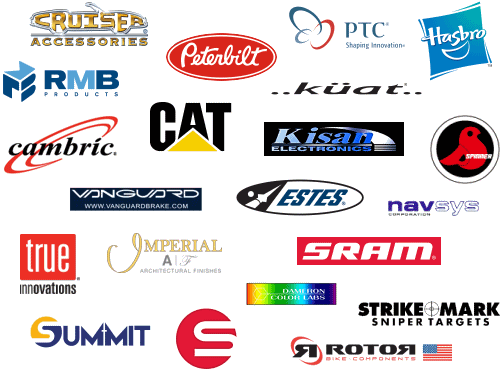 . .
With more than 20 years in business, we can’t list them all, but you get the idea. My business recognized the need to involve an engineer to help move the products to completion. An extensive web search narrowed the choice to Synthesis, and we couldn’t be happier. Synthesis has aided in design modification and refinement as well as prototype development. They have shared extensive knowledge of materials and methods, and even market economics. 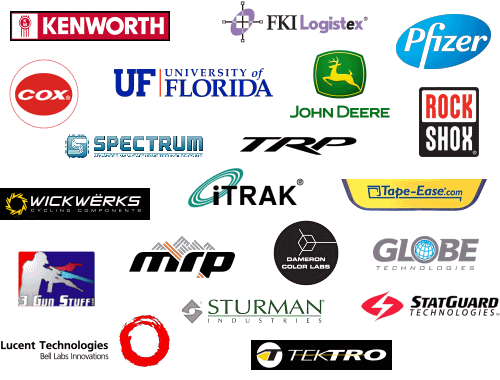 When our product goes to market, we recognize that Synthesis’ expertise has contributed greatly to our goal. Read more reviews at Google. 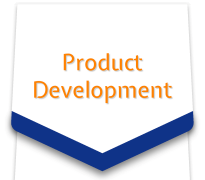 Synthesis Engineering is a Full Service Provider focusing on the engineering and product design Goals of Each Customer. From first Concept all the way through to Production, we support activities in every portion between. Each phase is structured to meet customer needs, coordinate with the existing teams, and keep things productively moving forward. See The Portfolio for design examples in pictures — a slideshow of product design, patents, custom machines and so much more. It’s a showcase of businesses who put their ideas into action — with Synthesis there to support and assist. If Your Goals Include . 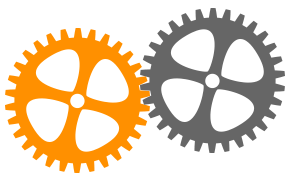 . .
Functional Design, Systems Engineering, New Product Development, or any sort of Mechanical Automation (Processes or Manufacturing) . . . Let’s talk. If you need solutions with a forensics issue, support with failure analysis, or product design consulting . . . it’s right up our alley. 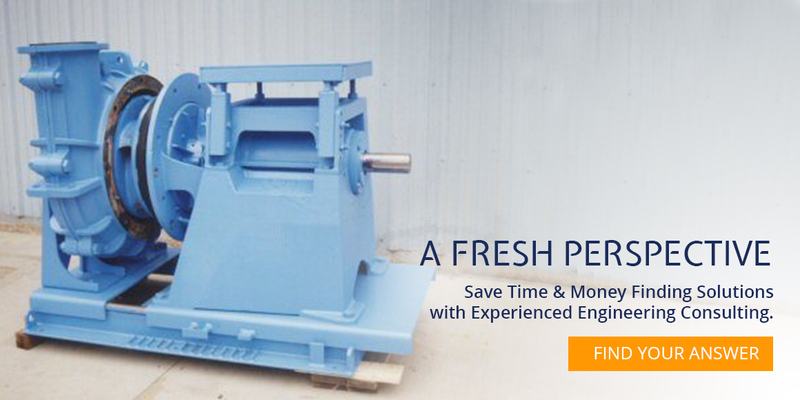 We bring experience with a complete line of Engineering Services. From big ideas and Product Concepts all the way through Development, Problem Solving and Production Launch, we support all of it. We are citizens of the world, and we believe growth for all comes with sharing. So, at Synthesis we have a growing library of information — for you — as a source of ideas and guides for engineers, inventors and other interested readers. Collaboration is at our core, so dive in, get lost, and have fun. You may find a great idea, or a tiny seed to move your project forward. If it spurs you further, the world becomes better. Enjoy it. This reservoir of knowledge is Here For You. Dive in and get lost in the array of resources available at Synthesis. If you can’t find what you need, please Send Us A Note, we’ll point you in the right direction. 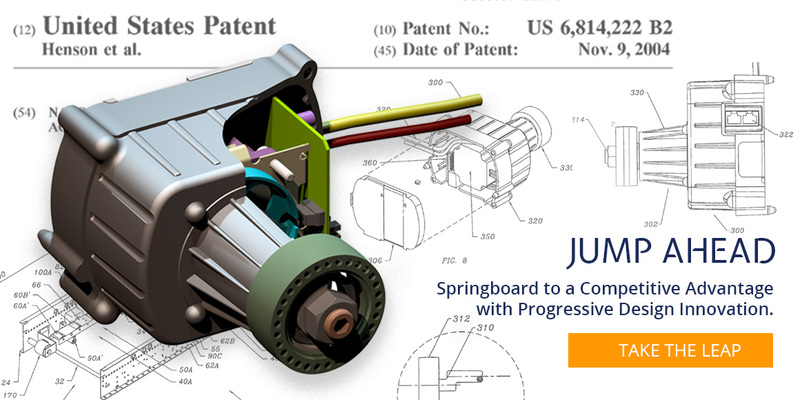 – My Competitor Has A New Patent . . . What Can I do? – Where Does The Customer Fit In Quality Control? – Can You Become More Creative? Find a whole lot more in the Engineer’s Perspective Article Index and in the Synthesis Engineering Library. Trailer design is much more than wheels and a frame with a bunch of cool features attached. Learn what makes a great trailer, investigate options and even buy plans to build your own. – What Is Good Trailer Design? Sub Topics: Strength, Stability, Versatility. You’ve got an innovative spirit! We love that, and we have resources to help navigate the ins and outs of getting your idea to market. Are You Willing To Stop Gun Violence?